Studies can be conducted to determine the effect of a chemical on the predatory mite, Typhlodromus pyri Scheuten (Acari: Phytoseiidae), under worst case laboratory conditions. 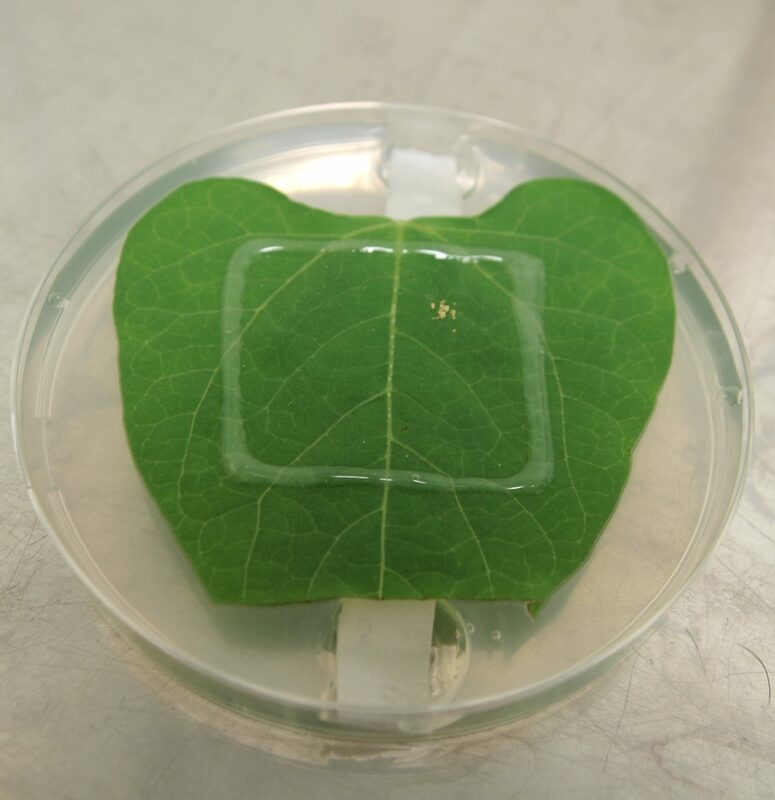 This can be conducted either as a glass plate or a natural substrate set-up. The chemical is applied to the test unit by overhead spray. The mites are added to the test unit and incubated for a period of 14 days under the conditions required by the guideline. The test is conducted using mites in the protonymph stage between 0 and 24 hours old. On day 7, mortality is assessed and the mites are sexed. Adult females are pear-shaped, translucent and creamy-white in colour and approximately 0.4 mm in size (Collyer 1981) whereas the adult males are smaller in size (< 0.3 mm), darker in colour and narrower. The second phase of the study assesses the effect the chemical has on fecundity. Eggs and larvae are counted; eggs are translucent white, barrel-shaped and about 0.2 mm in length. Small six-legged larvae emerge from hatched eggs and appear shiny white in colour. From the data produced it is possible to determine an LR50 (7 days) and ERx, LOER and NOER (fecundity). 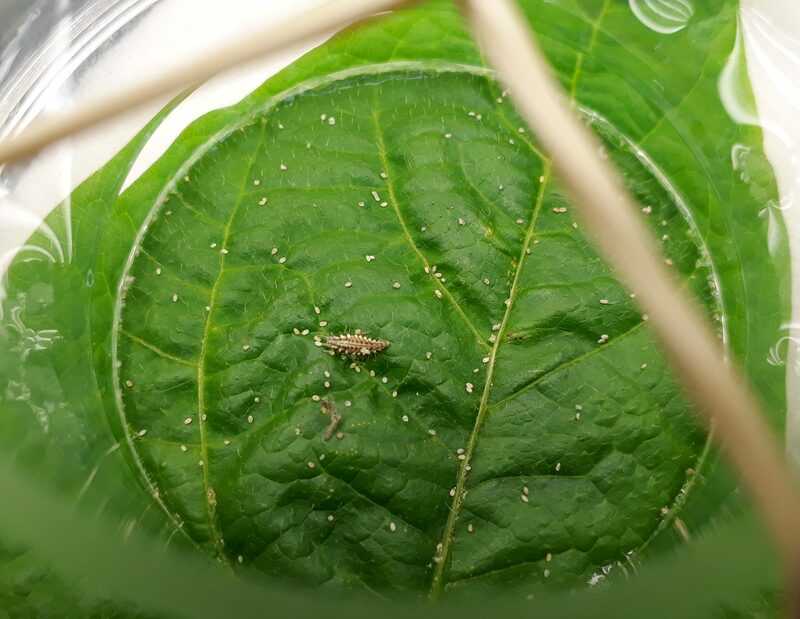 Laboratory Residual Contact Test with the predatory mite Typhlodromus pyri Scheuten (Acari: Phytoseiidae) for Regulatory Testing of Plant Protection Products, Blumel et al. (2000). Studies can be conducted to determine the effect a chemical has on the parasitic wasp, Aphidius rhopalosiphi (De Stefani-Perez) (Hymenoptera, Braconidae, Aphidiinae) under worst case laboratory conditions. This test can be conducted using a glass plate set up or barley seedlings as a natural substrate. The test comprises two assessment phases. During the first phase the wasps are exposed to the test item as a residue sprayed onto glass plates or barley seedlings, they are then transferred to aphid infested barley seedlings to assess the reproductive capacity of the surviving wasps. For the first phase, the wasps are transferred to the test unit for exposure to the fresh dried residues. The test units are then transferred to a controlled environment and placed in randomised locations. The second phase is to evaluate the reproductive capacity of the surviving wasps. A single wasp is added to each of test units and the units are incubated for 24 hours to allow for parasitisation. After 24 hours the wasps are removed, and survival is recorded. The wasps are disposed of and the test units are incubated for a further 10 – 12 days. At the completion of this phase the number of mummies on each replicate is determined. From the data produced it is possible to determine an LR50 (48 hours) and ERx, LOER and NOER (fecundity). Laboratory Test for evaluating the effects of plant protection products on the parasitic wasp, Aphidius rhopalosiphi (De Stefani-Perez) (Hymenoptera, Braconidae, Aphidiinae) Mead-Briggs et al. (2000). An extended laboratory test for evaluating the effects of plant protection products on the parasitic wasp, Aphidius rhopalosiphi (Hymenoptera, Braconidae)’ Mead-Briggs et al. (2010).